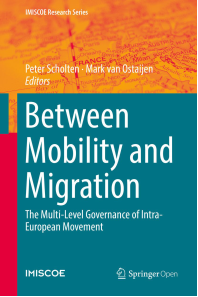 This open access book offers a critical perspective on intra-European mobility and migration by using new empirical data and theoretical discussions. It develops a theoretical and empirical analysis of the consequences of intra-European movement for sending and receiving urban regions in The Netherlands, Sweden, Austria, Turkey, Poland and Czech Republic. The book conceptualizes Central and Eastern European (CEE) migration by distinguishing between different types of CEE migrants and consequences. This involves a mapping of migration corridors within Europe, a unique empirical analysis of consequences for urban regions, and an analysis of governance responses. Next to the European and country perspectives on this phenomenon, the book focuses on the local perspective of urban regions where most mobile citizens settle (either permanently or temporarily). This way the book puts the analysis of intra-European movement in the perspective of broader theoretical debates in migration studies and beyond.